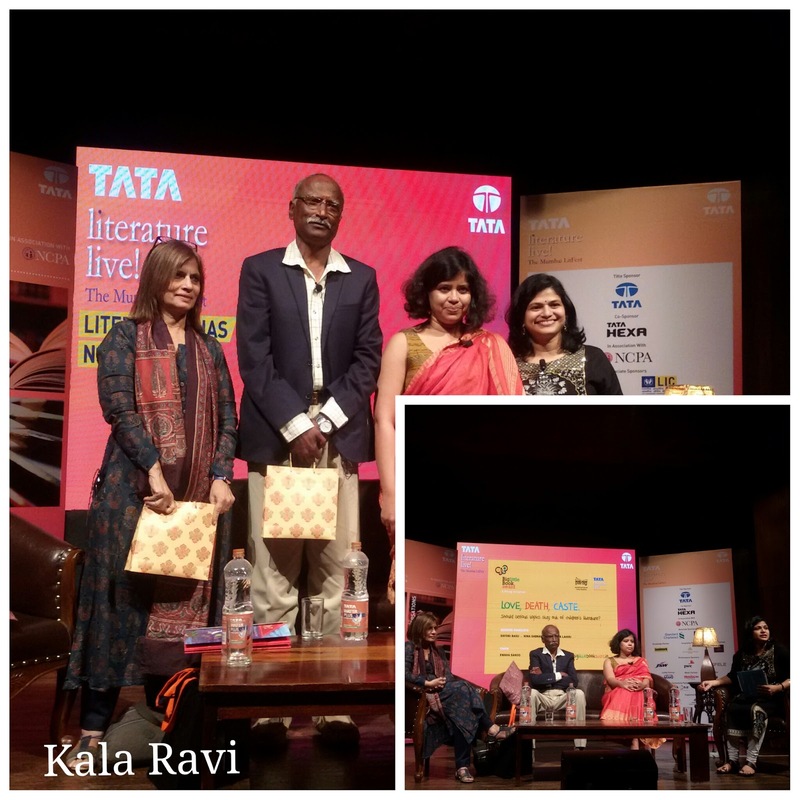 In the over-crowded, fast-paced city of Mumbai brimming with deadlines and traffic woes, grappling with the current situation of monies, the Mumbai LitFest - the Tata Literature Live! 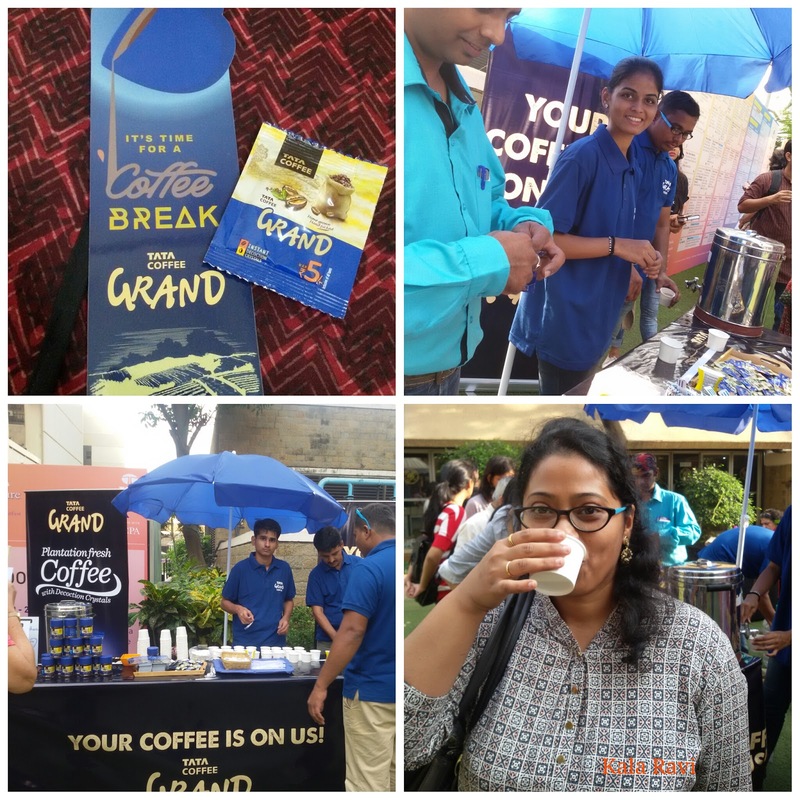 2016 came in as a breath of fresh air and an oasis of respite! 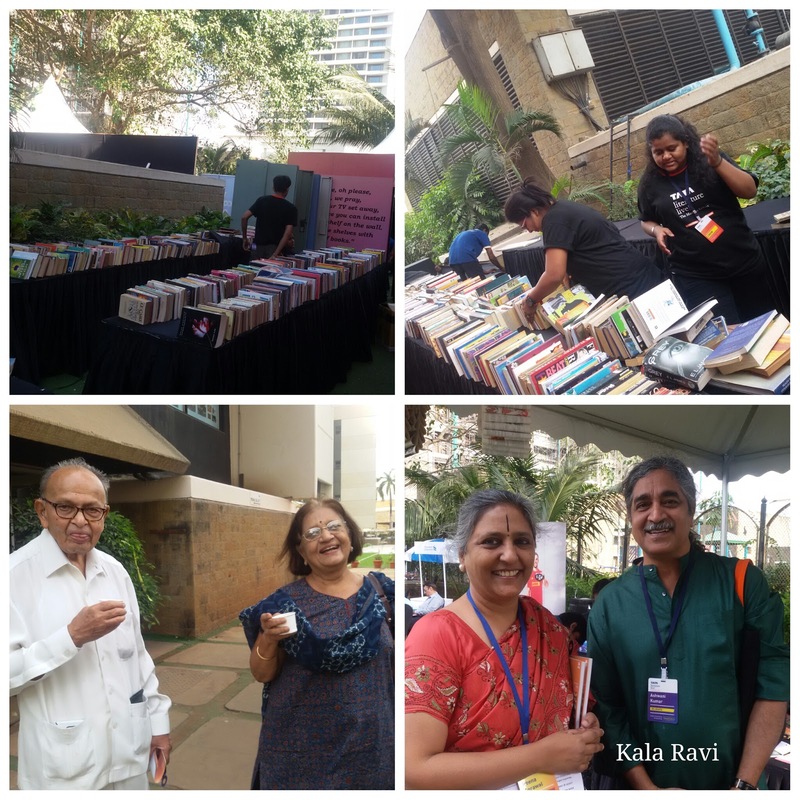 The LitFest offers succor and rejuvenation to minds thirsting for intellectual and cultural recourse year after year, transcending all ages and barriers. Tata Literature Live! 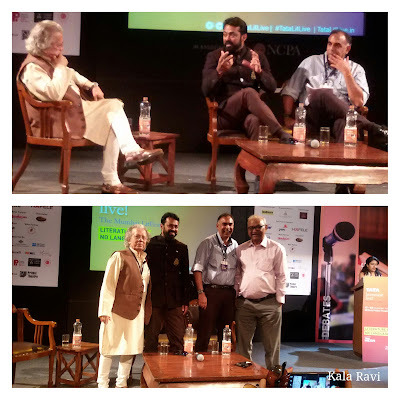 In its 7th year saw yet again the confluence of the best minds from the fields of art, literature, culture, politics, theatre, science, economics etc. Brilliant discussions, candid talks, entertaining live performances, masterly debates, enriching workshops and so much more. 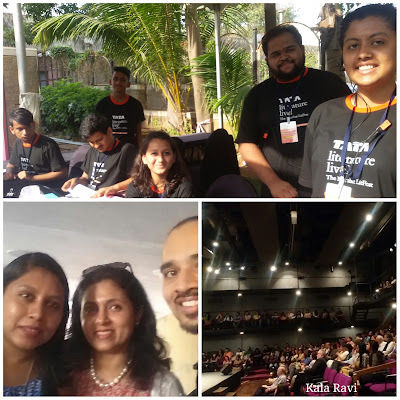 I was fortunate to attend many of the events spanning from 17th Nov'16 to 20th Nov'16 at the NCPA along with my blogger friends from Blogchatter. On the last two days there were simultaneous events at NCPA and Prithvi Theatre. 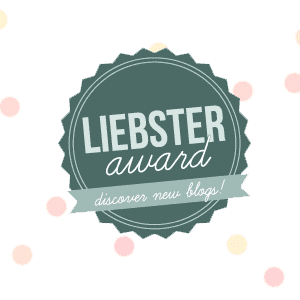 Through this post I shall endeavor to share my experiences and some cherished moments of this wonderful event. 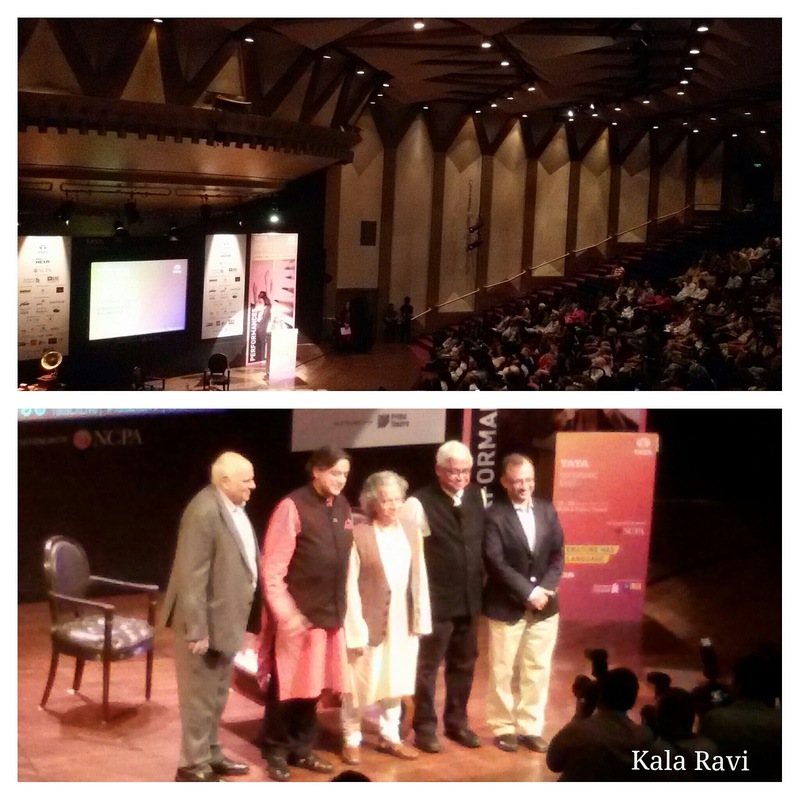 Let me first share details of the beautiful venue - The NCPA. It takes a while to figure out the NCPA grounds and its multiple venues; thankfully the map on the event pamphlet and the omnipresent TataLitLive Crew, eases that for you. 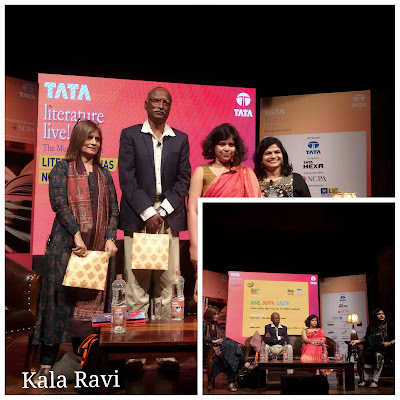 The entry to the TataLitLive events at all the venues are free - first come, first serve basis, which I think is a wonderful gesture, throwing open the gates of literature/knowledge to all who seek it. 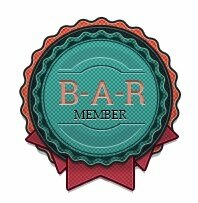 For me personally, the feel, the ambience and atmosphere of a venue greatly influence the overall experience of any event. 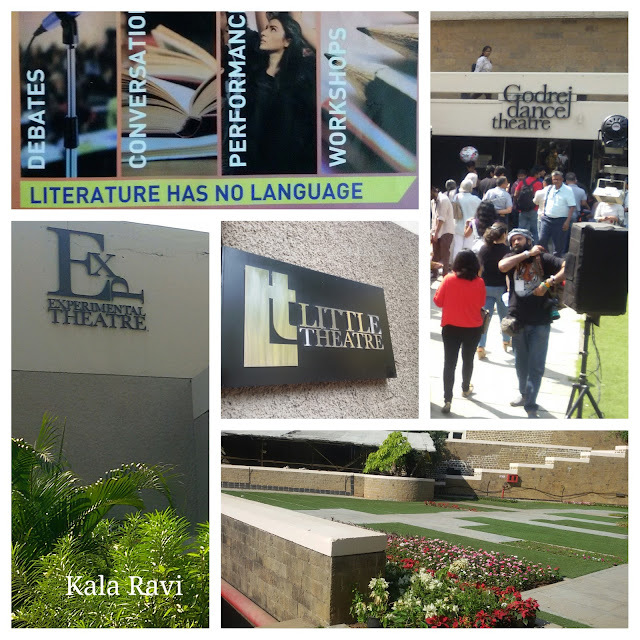 The LitLive events were mainly held at the Experimental Theatre, The Godrej Theatre, The Little Theatre, the Sunken garden, the workshops at the Sea-View room and of course the inaugural ceremony at the Tata Theatre. 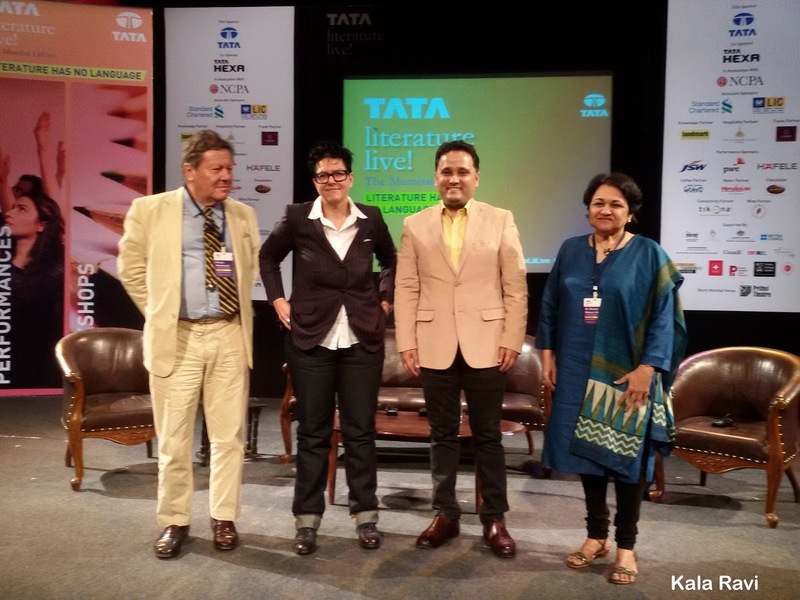 The opening event saw several dignitaries and celebrities from the literary world. This was followed by book signings by both the authors. 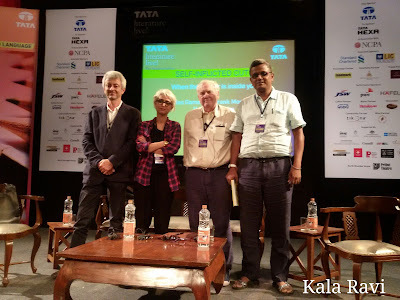 Amitav Ghosh was felicitated during this LitFest with the Lifetime Achievement Award. Why does literature have the power to heal? T his session had the experts bouncing off their thoughts on the healing power of words. Yonaton Berg introduced the term Bibliotherapy, hitherto unknown to me. Books and words, reflect the thought processes of writers and by thus expressing them, they create empathy with the readers undergoing similar thoughts, which in turn helps them heal says the panel. When a panel this eminent discusses any topic, you are just blown away by sheer genius at work! While Amitav Ghosh was skeptical about the impact of perpetual growth, Arvind Subramanian thinks we are making efforts in the right direction. 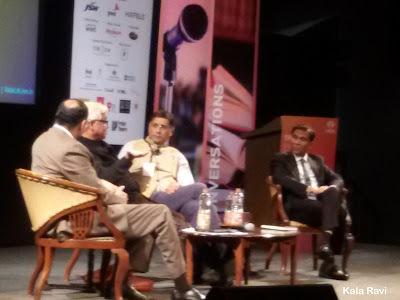 Both Arvind Subramanian and Sanjeeb Chaudhari concur that India especially has a massive path of progress and development ahead. 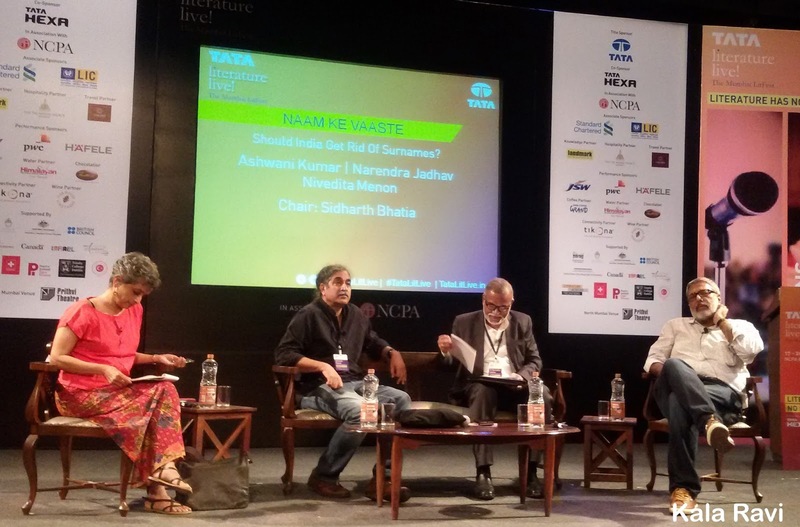 Amitav laments that the older generation's thrifty ways are now extinct and says its not a sustainable aspect if everyone wants to have a higher/middle-class standard of living. Sanjeeb says steps in the form of sharing cabs are reducing our carbon imprint and work-life balance the younger generation has managed is way better than the previous generation. Arvind argues that while citizens applaud huge subsidies in water, power, gas, these are impacting the consumption patterns. Yes, this panel definitely had some grim, some positive but hard-hitting revelations on the seemingly upward curve of growth. 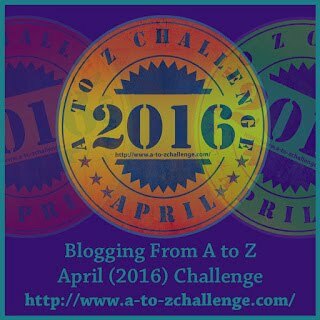 Do authors know where their story is going? This was a very interesting discussion where the writers discussed essential habits of their writing and how they went about the whole process. The proficient chair, Shefali Shah ensured a rapt audience with her pertinent questions to the panel. Amish says that he considers any art a blessing of the creator and thereby invokes the divine with a stuti at the beginning of any new writing. He has a clear core philosophy and even the last chapter in mind but how the journey progresses is instinctive he says. Typically Indian mythologies don't give a conclusive ending, he adds. Content that appeals to the higher mind, that goes beyond the materialistic will always work he feels. When he writes, he loves entering that new universe (accompanied by his favorite cream biscuits). He also says you cannot write a book after researching the market, it has to be instinctive. Monica says she doesn't plan the conclusions to her books. She likes leaving the endings open, to continue with sequels and at times when the story progresses to a dead end, she has to start afresh. Sometimes if certain lines are very crucial to the story, she tries flipping them between characters to find the best fit for that line. 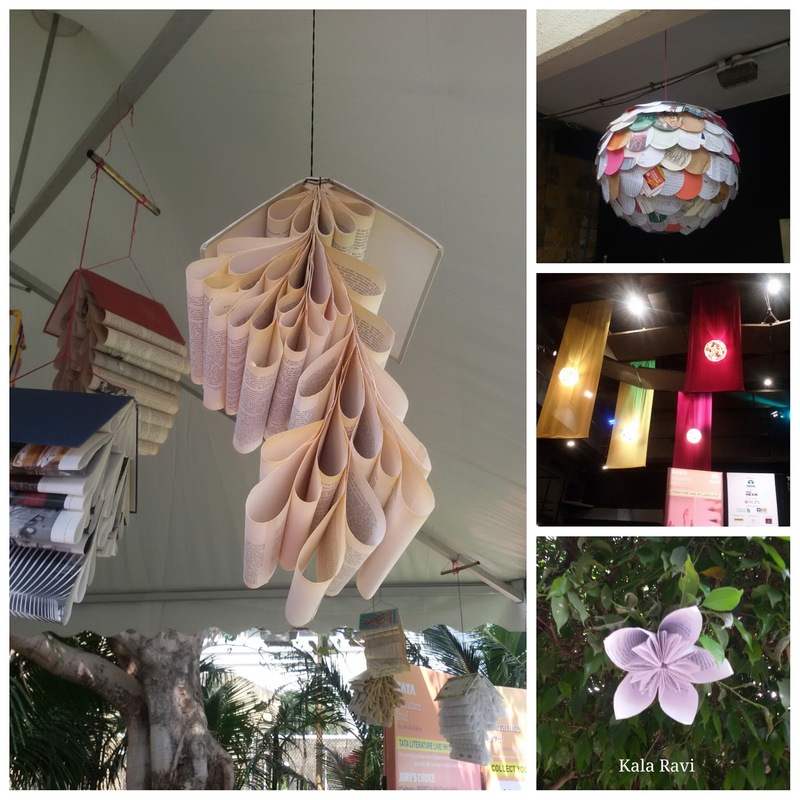 She takes her writing as a piece of literature and reviews it mentally as such and thus listens to her mind alone and doesn't let anybody influence her writing. Talking about endings, she says she plans her ending when she is done writing about 2/3rds of the book. EVENT: Olympus: an Indian retelling of Greek myths. When the Mytho-maestro speaks about Indian Mythology you are spell-bound as you hear him bring to light hitherto unknown perspectives to tales you've heard all your life. And now that he is retelling Greek Mythology, you just go with the flow and let him regale you with his inimitable style, wit and story-telling. 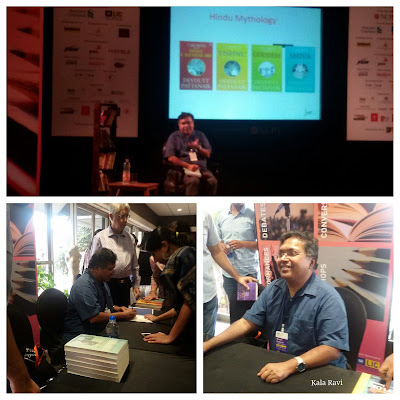 A pleasure to hear Devdutt Pattanaik speak! The noted poet, lyricist Gulzar brought in the mystique and charm of his beautiful words to the LitFest to a packed to the brim audience, spilling onto outdoor venues with live screening. It was an honor and privilege to hear him in conversation, read out a few poems from his immense and spell-binding repertoire. If you take LitFest to Mumbai, its got to have its share of the glamorous Bollywood. An eye-opening session on the magic of late veteran film-maker Nasir Hussain. 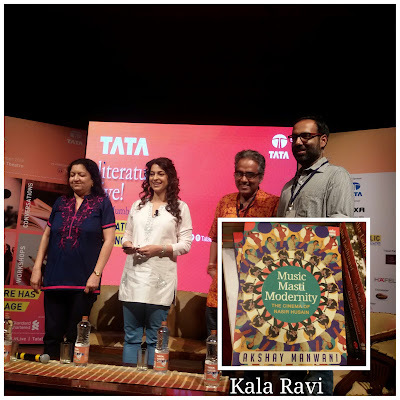 Unraveling the magic was the author of the book Akshay Manvani and the presence of tinsel-town beauty Juhi Chawla, ensured this was one exciting journey. Okay folks, let's take a breather from all this frenetic, literary overload and smell the roses/coffee along the way, shall we? The coffee booth was a favorite haunt in between events! The Book Swap event organized by Reena Agarwal was a huge draw, tempting people of all ages to exchange their old books. Loved the enthusiasm of the 80-year old Vohra couple! I loved the artsy decor spread across all the venues! A literary quiz with a twist. 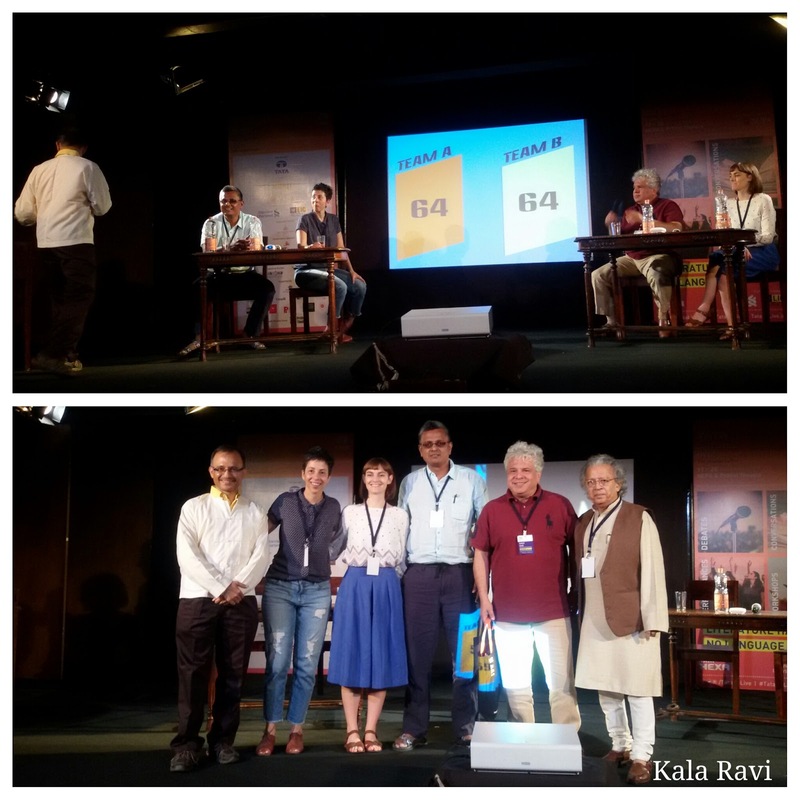 As the theme suggests, it was a literary quiz with a twist, a fun element thrown in with the contesting teams getting points for a witty answer and also the right answer to literary question. 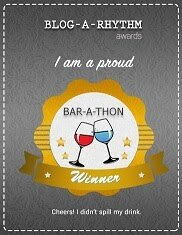 A light-hearted and fun quiz, ably conducted by Harish Bhat. From the champion player who's blazed his way through so many successes, milestones, medals, broken records and brought glory to the nation, one expected the session to be rocking and Leander Paes is a true champ in every sense! 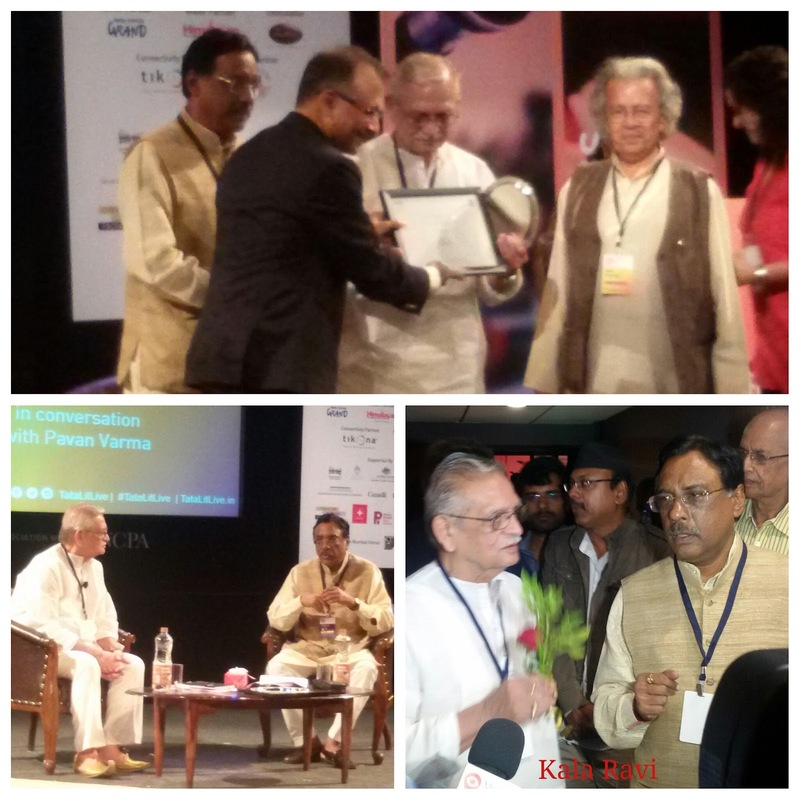 His views and ideas teamed with senior sports journalist Rohit Brijnath were inspiring to say the least. My takeaway from this session: Leander thinks, Indians should focus on games suited to physique, stamina - games like kabbadi, chess, gymnastics, tennis, hockey. 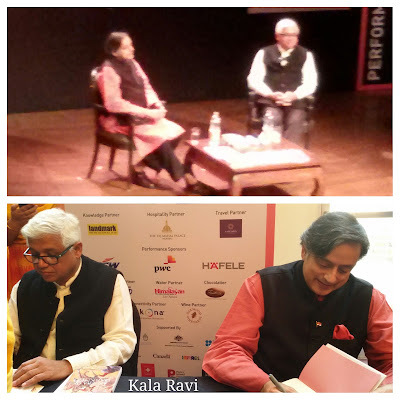 He strongly advocates that Indians must employ to their benefit their huge plus point - of a great intellectual capacity. A strong sports culture beginning with awareness at home, schools, sharing and gaining expertise from the best in the field and building a great facility with requisite infrastructure that is accessible to the deserving is the need of the hour. Besides this, the driving force to be a winner in any field he says is to have passion or obsession for the game, be positive, be a mental champion - play with a clear and clever mind, surround yourself with champions - like gets like. Salut! The play is a one-woman show that encompasses three characters, convincingly played by the talented Erika Batdorf, effortlessly shifting from one role to another. She plays the high-strung and emotionally charged role of Marty - a creative writing professor battling depression. Next she plays Christine her hospitalized sister ailing from multiple sclerosis, desperate to get away from her condition and her helplessness to do so. Lastly she plays the role of the dead mother turned into a merry angel with a devil-may-care attitude. Remarkable performance and a treat to watch it live! The scholar par excellence Professor Guha stormed the talk with his powerful words, speaking about his book comprising of several essays on the said topic. 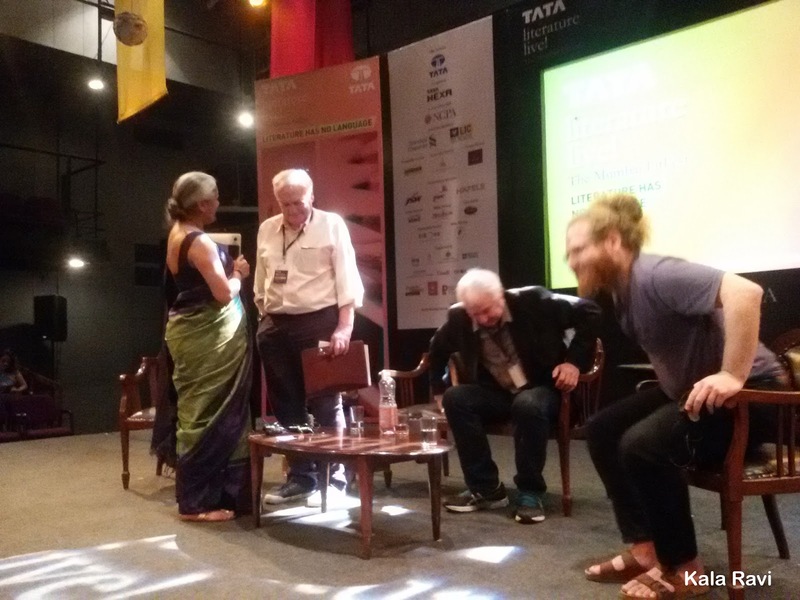 He spoke of biographing Buddhist scholar and Gandhian, Dharmanand Kosambi. 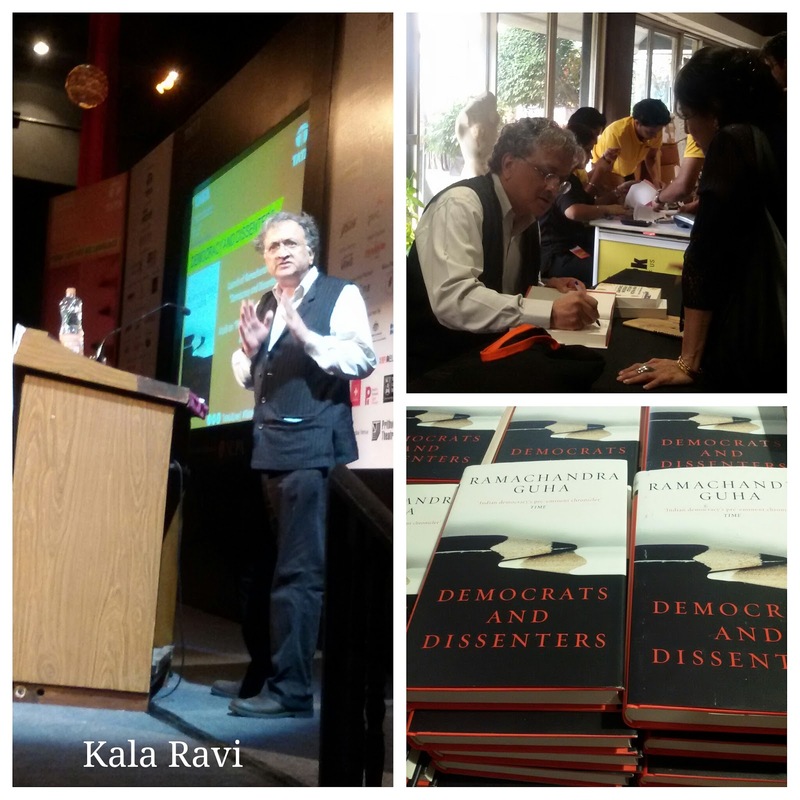 His talk encompassed the complexities of the legal system in India still bound to archaic systems from the British era, identity politics etc. When the censor is inside you. 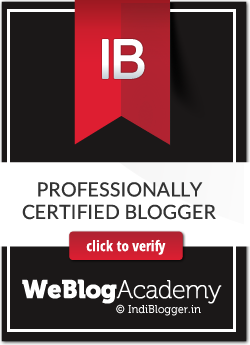 A rather interesting discussion on where do writers draw the line while writing. Nermin who hails from Turkey says the rules of the country stop her from sharing certain stories so she simply changes the country of her protagonists to give them and herself more freedom of expression. Frank feels Australia had more censorship rules than even Ireland at a certain point. 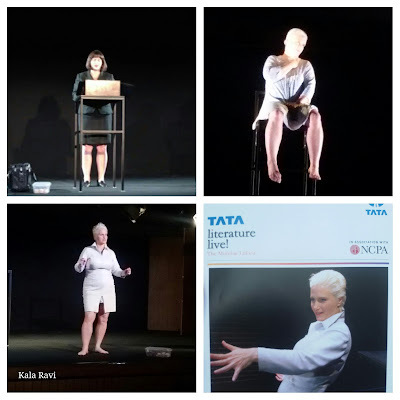 There were curtails on perceived obscenity, lurid writing, sexual content etc. This kind of external censorship limits the writer's writing. Carlos feels that the writer needs to think for himself. He says respect is sometimes bad for inspiration. Sometimes one should not worry about offending. Since his country Argentina was under years of state imposed terrorism, the citizens now truly appreciate the freedom and safety they are now enjoying. Should serious topics stay out of children's literature? Children's literature is not to be kidded about! Some serious food for thought from this discussion. 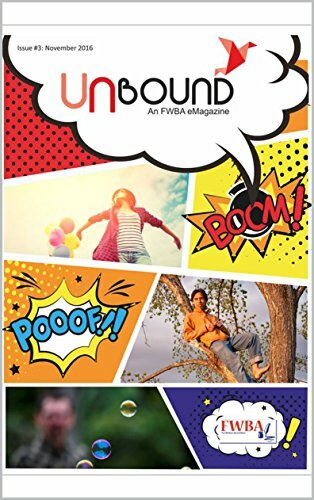 Sayoni feels that most children's books tend to be patronizing and seem to be talking down to children. Devapriya Lahiri ex-headmaster of many distinguished schools too feels we severely underestimate the intellect and psychological maturity of children. Nina Sabnani thinks mediums like interactive books can be used to convey difficult stories in a subtle manner. The gist of the talk being: Good story matter that that is put together in a fun way, looks at issues from the children's perspective and subtly deals with sensitive issues. I was blown by Alyque Padamsee rendition of Shylock's dialogues from the Merchants of Venice. Alyque argued that Shakespeare's words were not meant to be read but heard, he was more a dramatist than a writer. The opposition from Carlos was that the Shakespearan language is a dead one. It lives on only because of the plots, characters and emotions. Unless old classics are translated or made contemporary, they will die, much like Homer's works. Simon clarified that Shakespeare wrote in such a language because at most times he was giving out stage clues to help the actors get the actions right. Should India get rid of surnames? What's in a name you say? Well quite a bit, thinks Prof. Narendra Jadhav. The use of surnames according to occupation is a carry-over from the British Raj says Nina Menon. Biases and prejudices in the job sector can be overthrown by dropping the use of surnames altogether feels Prof. Jadhav. Only time will tell if this is really feasible and will it actually solve the problem. When a legend from the scientific community, one you've watched and followed all your life, comes live on stage, it is a big honor! 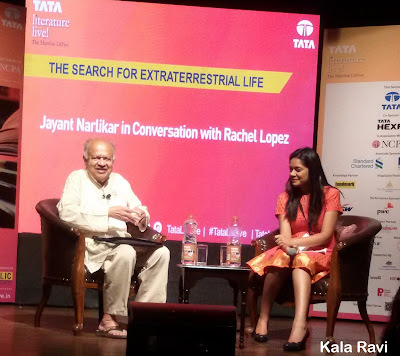 Dr Jayant Narlikar is a true legend! He says he belongs to the category of life-long optimists who believe that there is indeed life other than that on earth. 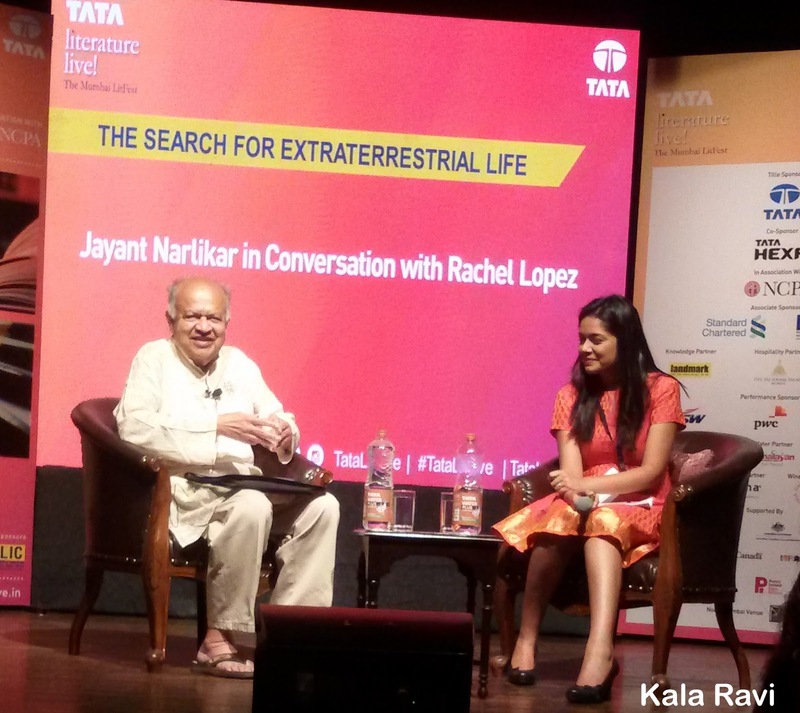 His team of Indian researchers has retrieved 3 species of bacteria alien to earth from the stainless steel probes released into space through balloons. Did you know you could use basic math such as prime numbers (which are universal) to communicate with aliens if we need to? The learned astro-physicist also dispelled certain hyped alien findings. 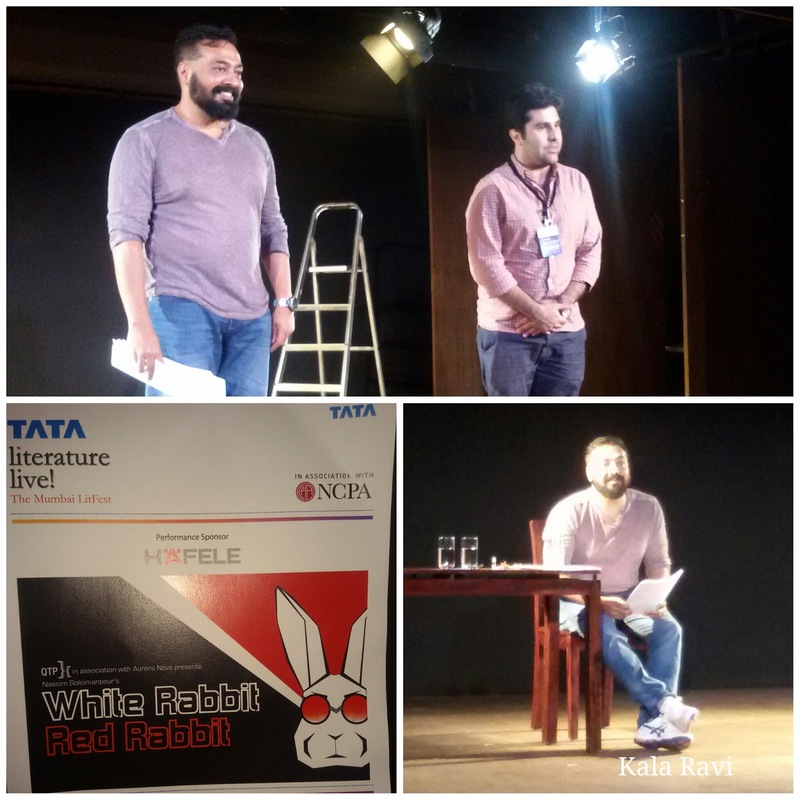 No rehearsal, no director, a different actor each night, and a script waiting in a sealed envelope on stage.World Premiere of the Hindi version. This is a one of its kind play like the summary says! 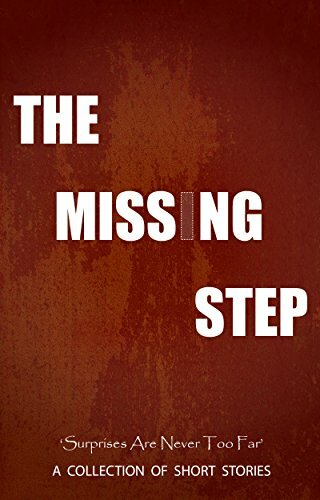 The play written by Iranian writer Nassim Soleimanpour is simple in concept and intense in its depth. A theme and story that bridges barriers and continents, it shares meaning with every society in the world. I won't say further and spoil the fun, in case any of my readers plan to watch this one in future. A somewhat bemused Anurag Kashyap, delighted the audience with his spontaneity and sportiness, playing out a script that asked him to trust all it said. The interactive show kept the audience's attention riveted to a plot with slowly unraveling nuances. A class act! 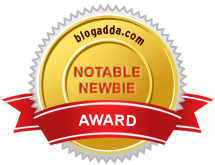 My amazing blogger friends Jaibala, Omkar and Rohan made the entire experience all the more delightful. 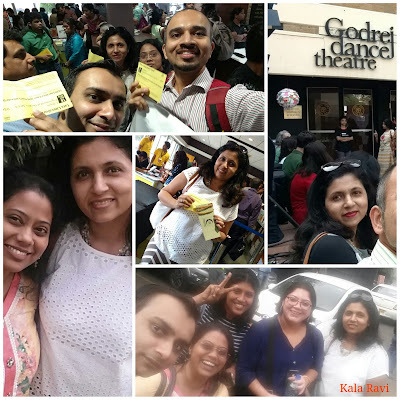 Here's us gleefully flaunting our passes, queuing up, meeting other pals and just enjoying happy times! You know, to make a good event great it takes enormous amounts of pain and planning to ensure things run hassle-free, with clockwork precision. 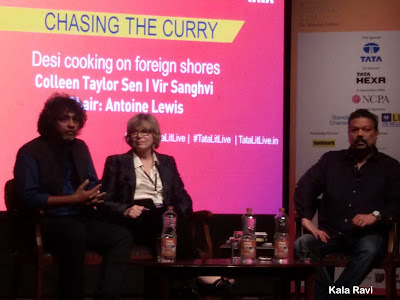 The TataLitLive's fabulous crew did just that! The perfect audience makes any event all the more memorable, so thanks to the huge number of Mumbaikars who made it to the event. The congenial discussions with total strangers pre/post an event added to the community flavor of the event. 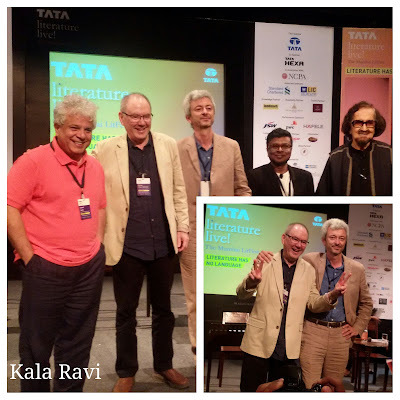 So that dear folks is the essence of my LitFest journey. I carry with me fond memories, wise words and a lingering urge to revisit this stupendous event year after year! 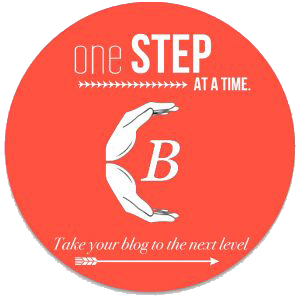 A big thank you to Blogchatter, the official blogging partner for the TataLitLive! 2016, for their support and encouragement! Proud to be a part of this amazing team!